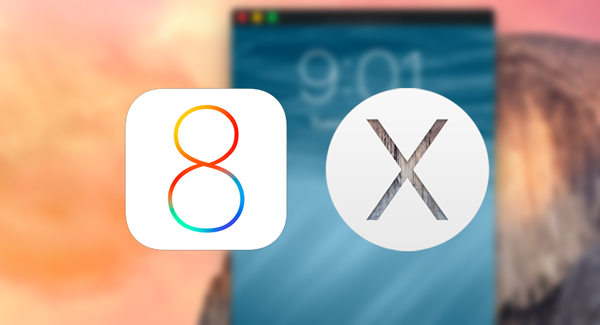 Although Apple divulged some of the details pertaining to OS X 10.10 Yosemite and iOS 8 at WWDC, only now are certain new pieces of information coming to light. In what will go down as great news for developers and video reviewers alike, it would appear that the upcoming version of OS X includes a neat feature for screencasting iOS devices directly to Mac, without any need for third-party hardware. At present, the feature is said to be quite stuttered and laggy, but given how OS X 10.10 Yosemite is unfinished and not yet ready for end user consumption, this is perhaps to be expected. As has been the case with the past iOS / OS X software updates announced at Apple’s Worldwide Dev Conferences, the Mac maker’s continued effort to amalgamate the features of desktop and mobile software were once again in evidence yesterday, and although this screencasting feature mightn’t be of tremendous use to the end user, it’d certainly make the lives of developers just that little bit easier. As we learned at yesterday’s WWDC keynote, the App Store will soon require developers to create app previews for consumers that goes beyond the current screenshots. 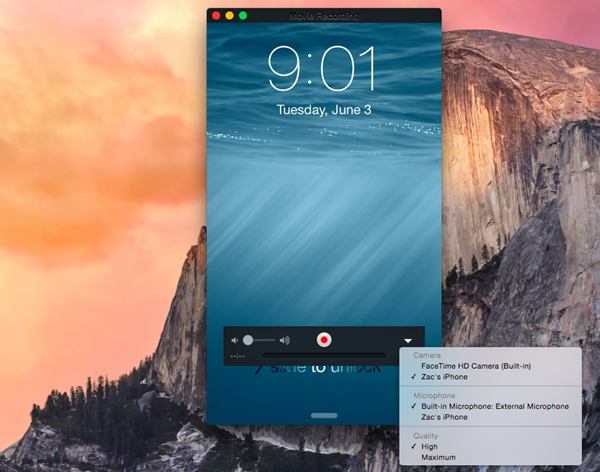 With this screencasting feature, as discovered by 9to5Mac, a developer would seemingly be able to record directly from an iOS 8 device connected via USB, thanks in part to the fact that iPhone, iPad and iPod touch devices will show up as standard camera hardware within the Finder. From there, you could record using the app of your choosing, and while, as aforementioned, it’s more than a little rough around the edges at this particular moment in time, the fact that it’s open to all users rather than just developers means that app reviewers could easily record and share their thoughts on a particular title without needing to resort to cumbersome alternative methods. Given the currently unrefined nature of OS X Yosemite’s screencasting feature, it’s fair to say that work needs to be done before graphically-intensive games can be shown off in all of their glory, but nevertheless, this is a neat little featurette that will be well-received by developers and general OS X Yosemite / iOS 8 users alike. What do you make of this implementation? Do share with us your thoughts via the usual channels!